Cycling throughout the year, whatever the weather. Anyone passionate cyclists is not only in good weather rises to the bike, who knows how the weather can tamper one. With Wind Free an inventor has thought about too much wind when cycling, jogging or other outdoor activities. 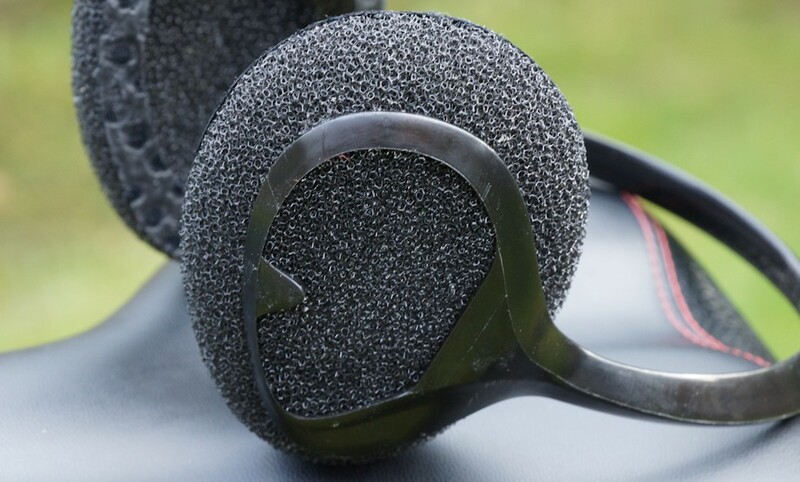 The earmuffs are designed to protect the wind and storm off to loud wind noise and drafts. We have wind Free tested and proven in practice on the bike. Delivered were us 4 Wind Frees for different tests. Each protector itself is thereby supplied as a unit. Encased in paper sleeve with the most important information about the product.That’s it. The product is constructed here as a classic earmuff. Two foam shells are connected to a plastic handle. 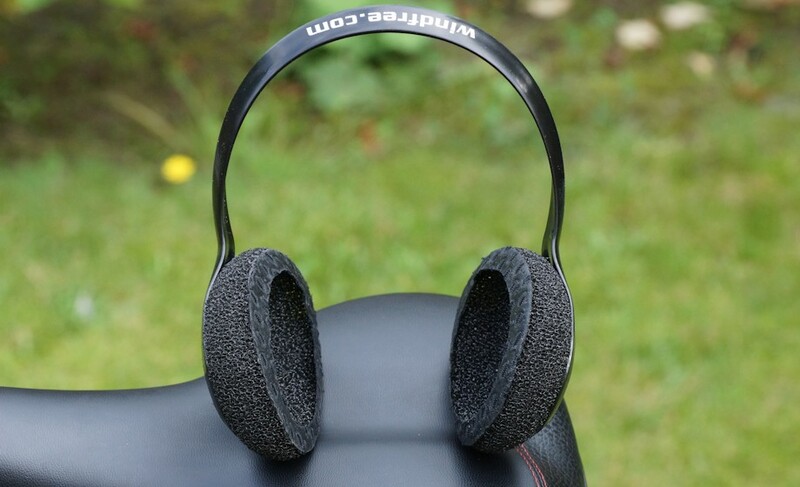 Unlike a conventional earmuff, the strap does not run on, but behind the head, the neck of the wearer. So should be the possibility that you also have a bicycle helmetcan bear and the strap does not interfere. We have to try two different helmet models. Our Myth 2 the use of wind Free was not a problem. The ear freedom was adequate and the neck was enough space, even with theNutcase helmet there were no problems. Setting there is no wind Free is «one size». Due to this design, the low weight is possible by only 21 grams. Contrasting there are 8 different models: green, red, yellow, black, orange, gray, pink and blue. Wind Free acts processed bit cheap. The ear cushions are attached with adhesive on the bracket. Pushing you this slightly to one side, you can see the adhesive. Overall, the foam shells act quite rough. When wearing one does not notice it. Wind Free pressed sufficiently firmly to the head zoom to not fall off. For this, a thermal property is specified. 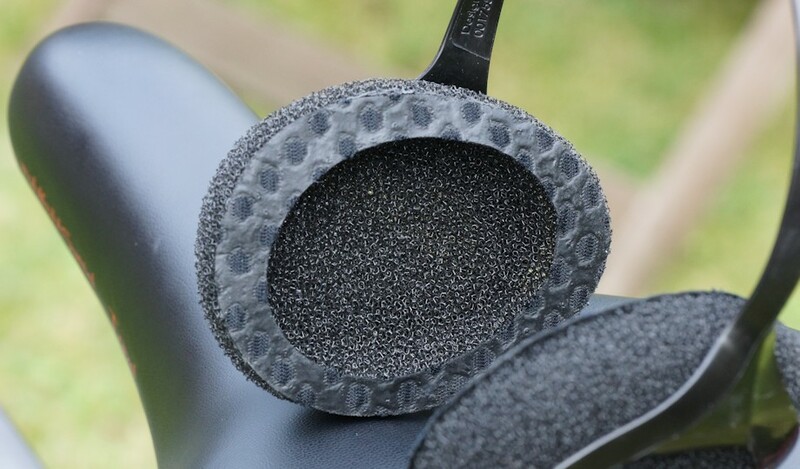 The noise protection should cool in warm weather and warm in cool temperatures. Since not affect the weather will have, we have placed ourselves Wind Free and placed in front of a fan. The comparison with or without the wind noise absorber is quite noticeable.Ambient noise coming barely changed on the ear, the wind stays outside. On the bike, it also comes with no wind even at 20 km / h wind noise, through which you can not always listen as approaching cars immediately. Can wind Free filter these normal wind noise? Yes, wind Free swallows wind noise and fulfilled precisely the purpose for which it was designed. One notices the effect is very clear when you lift only one side while driving and exposes an ear. Wind Free does not swallow any wind noise, which would certainly not technically easy. It is, however, recorded a noticeable reduction. Wind Free really protects against wind and wind. Like everything that is new, you have to get used to wearing the wind absorber. He does not press and can be worn well with a bicycle helmet. The processing could be of high quality, the price of just over 30 euros would be expected a higher quality processing. Time for vanity should not have one, the earmuffs is purely functional accessories. Even though the design is modern, it naturally falls on. From us gets wind Free 4 stars out of 5.